Green is definitely the hottest colour of the season, especially at Select Sandwich. It was our turn to Go Green- now proudly serving kale, and using recyclable containers to help keep you and our planet healthy. We’re so proud to say that 90% of all of our takeout containers are recyclable and biodegradable. We decided to Go Green! We all have to do our part to help keep the planet as green as possible. Next time you come into one of the stores and pick up a delicious hot breakfast, or one of our lunch specials, you’ll see how the containers are super sturdy, and there will be no extra cost passed on to you! How else is green the hottest colour, you ask? 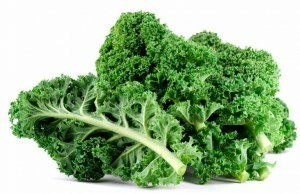 We are now serving kale! Kale, high in potassium, vitamin C, B6 and fiber, is known to have many health benefits, including helping with digestion, bone health, keeping your skin and hair strong and healthy, to just name a few. Pop into one of the many different Select Sandwich locations across the GTA to get some kale in one of our ‘design-your-own’ salads.